Carmela Semeraro, Bedfordshire’s leading oral historian and the Oral History Society regional network representative for East England, died of cancer, aged 64, on 18 November 2013. Born on 30 August 1949 in Puglia, the area at the south-eastern tip of Italy, she moved to England at the end of the 1960s, married an Englishman, and set about educating herself. After an Access course at Bedford College, she gained a History & English Literature BA degree at De Montfort University, Bedford (now the University of Bedfordshire), while raising her family, and followed this with an MA in Women’s History at Royal Holloway College, University of London. She taught adult education Italian evening classes throughout her life. Her interest in and support of elderly, first-generation Italian immigrants in Bedford led to her conducting a reminiscence project (1994-99) with them and her first oral history recordings. 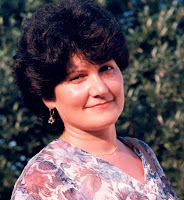 This material was later translated and edited by her to be published as a bi-lingual account (Italian/English), called Hidden Voices: Voci Nascoste: Memories of First Generation Italians in Bedford (Bedford Community Arts, 1999). This popular, well-illustrated history was underpinned by her academic research which resulted in her MA dissertation, Immigrants from Southern Italy to Bedford in the 1950s: A Gender Study of Continuity and Change from an Agrarian to an Industrial Society (1996). In 2003, she was awarded Bedford Borough Mayor’s Award, Citizen of the Year for Community Service, for her work with the Club Prima Generazione Italiani, which she set up in 1997 and led for some 16 years (until 2013). Although having lived almost all her adult life in Bedfordshire, her Italian accent marked her off, potentially, to some native English people, as something of an ‘outsider’, despite her deep understanding of English ways. However, this was more than compensated for by her warm personality and she made friends wherever she went. When she later conducted hundreds of life-history interviews she soon overcame any suspicions and interviewees quickly relaxed, talking freely about their personal experiences. Over the years she interviewed an enormously wide range of people from all levels of society and diverse occupations. From January 2001 to July 2005 she completed over 270 interviews with men and women who had lived or worked in the Marston Vale area of mid-Bedfordshire, for a Heritage Lottery- funded [HLF] project entitled “Changing Landscapes, Changing Lives”. From March 2008 to March 2010 she interviewed scores of Leighton Buzzard residents who had worked in the local sand industry in a project entitled “Sands of Time” for the Greensand Trust, again, an HLF-funded piece of research. In recent years Carmela has been Community Historian for The Higgins Museum, Bedford, recording over 100 interviews with members of the public across the diverse, multi-ethnic and multi-cultural local population, as part of an HLF-funded outreach programme between September 2008 and October 2013. Audio interview extracts now enrich the recently-created local history displays at The Higgins. Carmela leaves behind a son, Paolo and a daughter, Angela (and an infant grandson, Romeo) and countless numbers of people who benefited from her friendship, kindness and inspiration. For historians of Bedfordshire she has left behind a very large body of recorded, transcribed and summarised personal narratives into which we and future generations will be able to tap for insights into life in Bedfordshire throughout the twentieth and early twenty-first century. Written by Stuart Antrobus, who was both a friend and a colleague and summarised almost all the interviews conducted by Carmela. These interviews are accessible at Bedford Central Library and/or at Bedfordshire and Luton Archives and Records Service (BLARS), Bedford. See also the taster online sites, for “Changing Landscapes, Changing Lives” and “Sands of Time”.